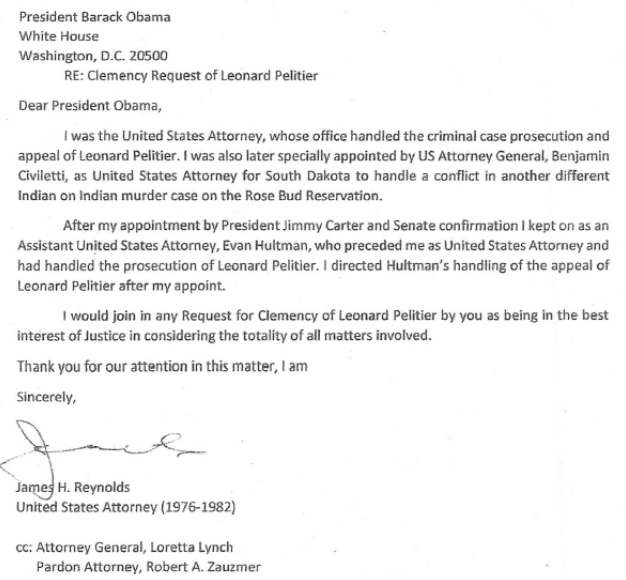 The U.S. Attorney whose office prosecuted Native American activist Leonard Peltier 40 years ago wrote to President Obama just before Christmas to support the aging prisoner’s bid for clemency. “I think it’s time,” Reynolds, 77, told the Daily News from his Florida home. “Forty years is enough,” the former U.S. attorney said. He also admitted he’s not convinced of Peltier’s guilt — even though the activist was convicted of fatally shooting FBI agents Jack Coler and Ronald Williams and has spent the last four decades behind bars. “I don’t know. Who knows?” Reynolds said, when asked if the wrong man might have gone to prison. “The hardest thing is to try and go back and reconstruct history. He may not have (done the crime),” Reynolds said, adding that Peltier “would not be the first” to suffer a wrongful conviction. “When you stand at the bottom and you look at the naked underbelly of our system, it has got flaws. It’s still the best one we’ve got, but at certain points there has to be a call for clemency and that’s where we are,” the former U.S. attorney said. An Indian of Anishinabe, Dakota, and Lakota heritage, Peltier grew up among the Turtle Mountain Chippewa and Fort Totten Sioux Nations of North Dakota. He said he plans to be buried there on his father’s ancestral lands. 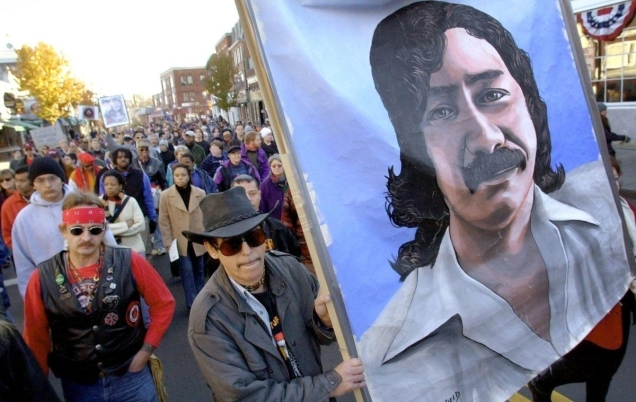 Responses to "Prosecutor Who Locked Away Leonard Peltier Now Calls On Obama To Release Him"